Workday: Thomas Point May 17, 2017 – Chesapeake Chapter U.S.L.H.S. 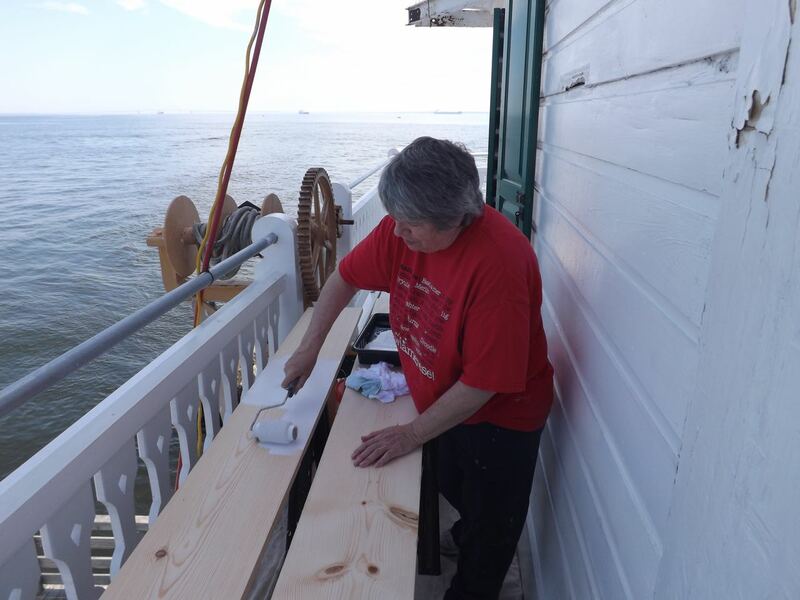 Virginia Crespo gives wood a coat of primer. 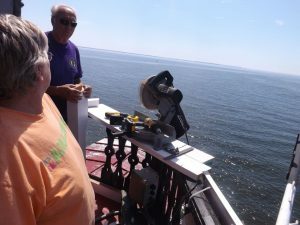 A group of six Volunteers had a good day at Thomas Point Lighthouse on May 17, 2017. Though it was warm – upper 80s the humidity wasn’t bad and the bay was mostly calm. Volunteers dispersed around the light to attend to a variety of tasks. A couple of volunteers continued work on the posts and railings around the lantern catwalk. 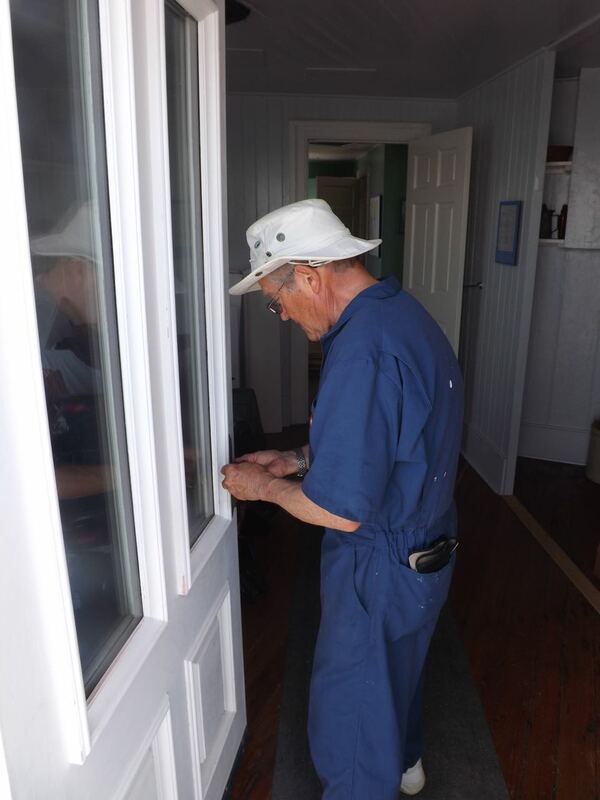 More work was done on the kitchen exterior door. As always there was painting to be done. This time some of the unfinished 2 by 4s and shelving wood was given a coat of white primer. Some support pieces and siding panels were installed in the new equipment room closet and finally more paneling was installed in the equipment room. 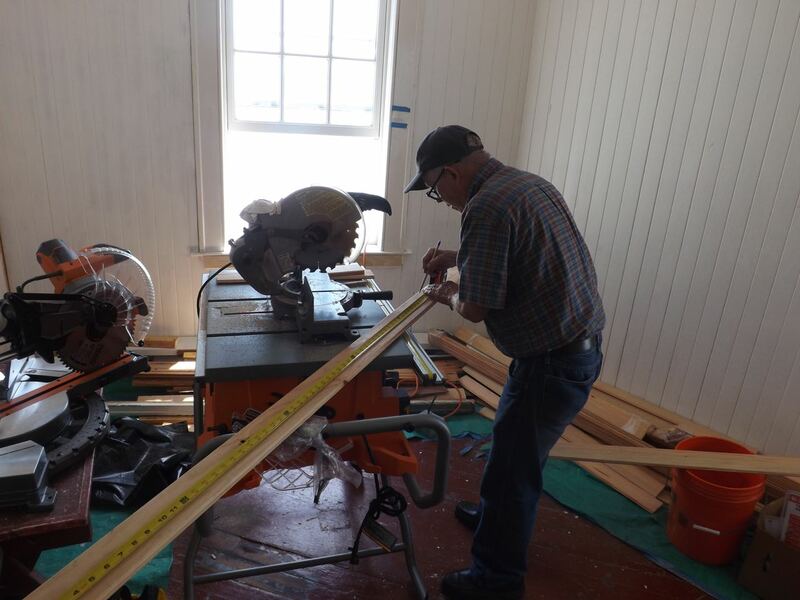 Volunteers also delivered lumber for the equipment room closet currently under construction. The group noted that the landing deck looked good – thanks to the bird squawker speaker mounted above the dock and recent heavy rains. 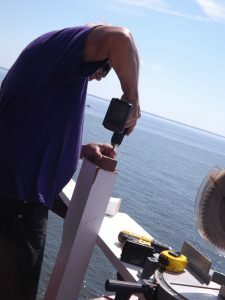 Howard Lewis works on railing posts around lantern room. Howard and Cathy Lewis working on railings. Hobie Statzer working in equipment room. Bob Stevenson works on kitchen door.